MyHeritage has just announced the release of a brand new filtering system for people who share DNA segments (DNA Matches). MyHeritage DNA database has grown so large over the years that most users have thousands of DNA matches. Consequentially, managing and making sense of all those matches has become quite the challenge, which is why a new filtering system had to be introduced. The new filtering feature allows you to view your DNA Matches one subset at a time, focusing on those that are of more interest to you and match your preset criteria. 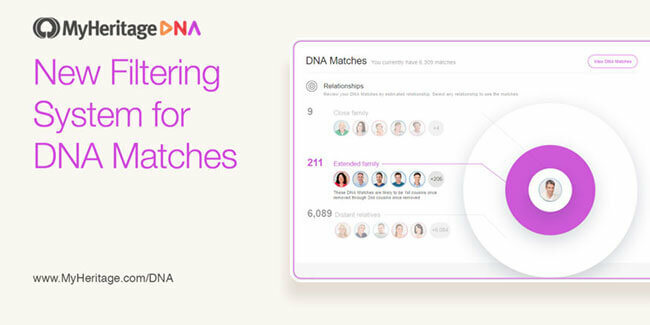 The DNA Overview page will let you filter your matches easily by ethnicity, country or relationship. There is also a convenient and powerful toolbar that offers much more utility, such as combining multiple filters and adding additional filtering criteria (for example, only people with family trees or with shared ancestral surnames). You will also be able to search and sort DNA Matches. For instance, you can easily find all your matches that include the word “Gordon” and filter only those of a particular ethnicity or those living in a particular country while sorting them by the amount of shared DNA or alphabetically. 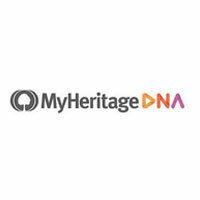 The new MyHeritage filtering system for DNA matches is absolutely free and can be used by anyone who has taken a DNA test with the company or uploaded their DNA data from another service. Note that some advanced features like filtering by ethnicity require a subscription. MyHeritage has also improved the UI of DNA Matches in general as a part of this update. For example, DNA Matches and ethnicity have been placed on two adjacent tabs, making it much easier to switch from one to the other. You can also view the family trees of your matches by using a Pedigree View now. All you have to do in order to access the new filters is click on the “Overview” in the “DNA” menu. MyHeritage is a DNA testing provider founded in 2003 in Israel. It combines genetic research with genealogy, allowing its users to create family profiles, print family trees, share photos, perform DNA testing, stay in touch with relatives, research family history, and much more. 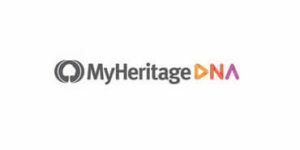 Read all about its services in our MyHeritage review.